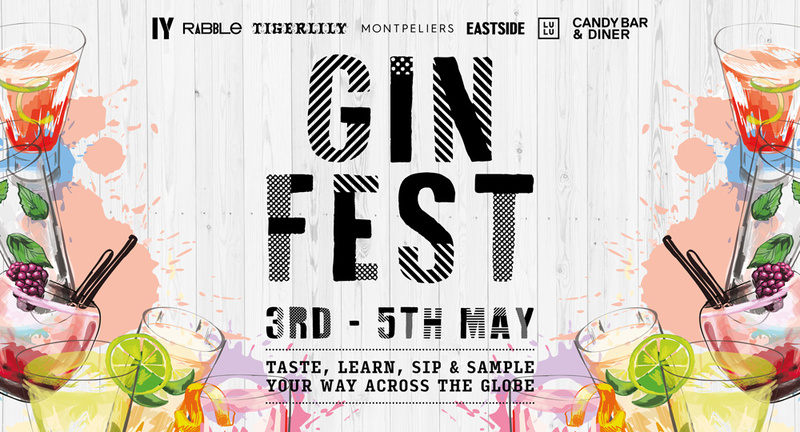 Montpeliers are dedicating a whole weekend to everybody’s favourite juniper-based tipple with their very first Gin Fest from Friday 3rd – Sunday 5th May 2019! Taste, learn, sip and sample your way across the globe with an extensive selection of gins, and there’s NO need for a wristband! Enjoy a journey of gin discovery throughout all of Montpeliers’ venues, tasting gins from all across the globe and finding your new favourites through selections of perfect serve G&Ts, gin cocktails and sharing gin cocktails. Get your gin pass at the ready as you collect your stamps throughout each venue to win exclusive prizes and to be entered into a BIG PRIZE draw where there’s a top prize of £1000 to spend in any Montpeliers’ venues, alongside additional prizes of Gin Masterclass for 10 people at Rabble, Fever-Tree gift sets and various bottles of gin – all to be won over the weekend! Gin Map → Eastside, Montpeliers Bar & Brasserie, Indigo Yard, Candy Bar, Rabble Taphouse & Grill, Tigerlily Edinburgh & Lulu Nightclub. Expect a fantastic range of established and emerging craft gins alongside recognisable favourites to enrich your gin experience. What’s on at the weekend? – And you get to take home your own botanical inspired bouquet. Tickets are just £45 per person – or include afternoon tea afterwards for £60 per person! Email jo@tigerlilyedinburgh.co.uk to book your space. All for only £5 per person! To book any of these masterclasses, please email sam@rabbleedinburgh.co.uk – be quick before they fill up! Please note, full payment is required upon booking.